Michael enjoys working with clients to help them recover fully, so they can achieve their health and fitness goals. Musculoskeletal problems, especially those resulting from sports related injuries, are his primary area of interest. 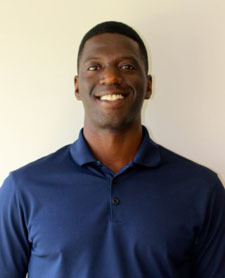 Michael uses manual therapy techniques, individualized strengthening and stretching exercises, and movement retraining to help clients rehabilitate from injury and prevent recurrence. He has worked with athletes of all levels, participating in many different sports, from professional basketball teams and the Canadian Men’s National Cricket team, to amateur and recreational athletes of all ages in sports such as soccer, football, hockey and golf. Michael has continued to build on his skills and knowledge through a variety of continuing education courses. Most notably he completed the Masters in Clinical Science program at the University of Western Ontario and attained his advanced manual therapy (FCAMPT) designation. He also completed the Discover Physio series, where he learned the Integrated Systems Model (ISM). ISM is an approach to assessment and treatment that examines the whole person in order to address the underlying causes behind their meaningful complaint, as opposed to just treating the painful area. Michael received his Masters in Physical Therapy from Queen ’ s University in 2010. Prior to attending Queen ’ s, he attended the University of Toronto where he earned an Honours Bachelor ’ s degree in Physical Education and Health. While obtaining his undergraduate degree at U of T he was a member of the Varsity Basketball team and team captain for 3 years. In his free time Mike likes to stay active by trying new workouts in the gym, and playing golf and basketball. He also volunteers as a Board member for Peterborough Public Health.